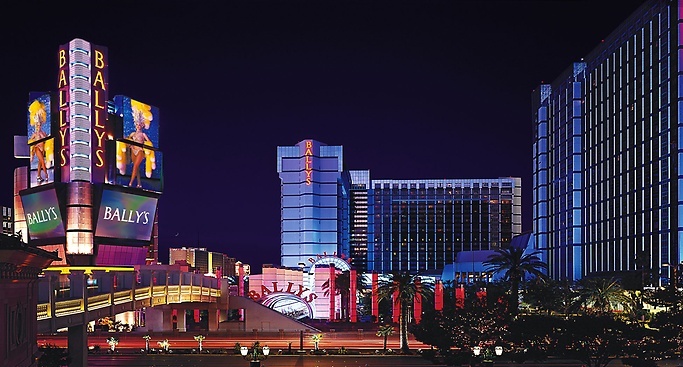 Bally's Hotel Las Vegas is situated within the center of the Strip and can accommodate those that do not want to break the budget. The Bally's Hotel Las Vegas complex offers rooms that are larger than normal with an Art Décor as well as a contemporary feel. The complex was originally constructed in 1973 and segments of the property have been upgraded as recently as 2014. Bally’s offers reasonable dining choices for guests on all budgets. One of the best dining options is the upscale BLT Steakhouse which also serves up the legendary Sterling Brunch on the weekends that features an endless glass of Pierre-Jouet Champagne and incredible cuisine. The Olympic sized pool is surrounded by luscious gardens and has an extended deep end that reaches depths of twelve feet. Bally's Hotel Las Vegas is one of the few properties on the Strip that offers championship tennis courts that are illuminated. The casino at Bally’s Hotel is smaller than other hotels on the Strip and has a separate keno lounge open 24 hours a day. For those looking to shop there is the Grand Bazar which features something everyone in the fashion of an open air market. There are also several unique shops within the complex too. The nightlife is centered on the Indigo Lounge which boasts DJ’s and bands in a comfortable lounge setting that takes you back in time to the days of the Rat Pack and others. 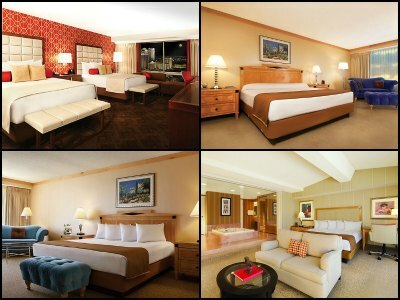 The Bally's Hotel Las Vegas boasts over 2,800 stylish rooms and suites for guests. The main décor of the interior is a wonderful Art Deco with comfortable furnishings. Guests will enjoy the added amenities of a coffee maker and refrigerator in most of the rooms and suites. An added bonus for pet lovers is that there are many different floor plans available for their furry traveling friend. The Indigo Room is 440 square feet with a sitting area, work desk as well as a bathroom that contains a tub and shower combination. The Indigo Deluxe Room is similar in size and layout but boasts a view of the strip. The Jubilee Room has 430 square feet of area with an updated modern décor that includes a view of the Strip, sitting area, work desk and refrigerator. The marble bathroom includes a tub and shower combination. The Indigo, Indigo Deluxe and Jubilee Rooms are offered with a king or two queen size beds as well as a smoking or non-smoking option. The Murphy Parlor Room has almost 600 square feet and a great layout. The Murphy Parlor Room has a large area that includes a Murphy bed, sofa, work station, four person dining table, minibar and refrigerator. The bathroom offers a tub and shower combo. The Indigo Junior Suite is 780 square feet of Art Décor at its finest. The suite offers a dining table, sofa, refrigerator, work desk and a bathroom that includes a shower. The Jubilee Junior Suite is over 800 square feet in size and has an updated décor as well as a view of the Strip. The living area has a sofa, work desk, refrigerator and a coffee maker. The bathroom sports a wardrobe closet and a soaking tub with shower. The Indigo Tower Suite is 650 square feet and features an extended living area with a sofa, work desk, wardrobe closet, dining table, coffee maker and refrigerator. The Indigo Celebrity Suite boasts 1,500 square feet of comfort and luxuryat the Bally's Hotel Las Vegas. The layout for each of these suites varies with a living area that includes multiple sofas, six seat dining table and a full bar. The bedroom offers a sitting area with the bathroom boasting many different amenities from a shower/tub combination to a whirlpool tub and walk-in shower depending on floor plan. The marble bathroom has a whirlpool tub and a separate shower. The Jubilee Celebrity Suite is 1250 square with a fantastic view of the Strip. The suite includes a living area with a large dining table, sofa, chair and wet bar. There is a whirlpool tub, shower and makeup area in the bathroom. The Indigo Townhouse Suites vary in size from 1,500-3,300 square feet space. These suites vary in floor plans that include loft style accommodations. The living area is spacious with ample leisure space that includes a sofa, plenty of chairs, wet bar, refrigerator and a staircase to the upper level. The second level contains a bedroom with a sitting area as well as a bathroom with a whirlpool tub, dual sink vanity and a walk-in shower. Paranormal-The Mind Reading Magic Show : People are thrilled with this show that combines the unknown with reality but will you ever know what reality is after watching Frederic Da Silva? Solid Gold Soul : You will feel your Solid Gold Soul after watching these talented impersonators give a perfect rendition of songs from classic Motown stars like Stevie Wonder, Diana Ross and the Supremes, James Brown as well as the Four Tops. The Bronx Wonderers : Travel through six decades of memorable rock-n-roll music classics with the Bronx Wonderers who will have your body swaying and your feet tapping to the beat of your favorite songs that propelled rock-n-roll to the forefront of American culture. The Miss Behave Gameshow : The Miss Behave Gameshow brings unpredictable laughter to the stage with outrageous acts that have no rules which will have numerous people portraying their best and worst attitudes of life while winning prizes during this delightfully chaotic show. Wayne Newton : Hold on to your heart ladies because Mr. Las Vegas aka Wayne Newton is back to thrill audiences once again with his crooning voice and unique personality while he performs in his new and original show “Wayne Newton: Up close and Personal”. 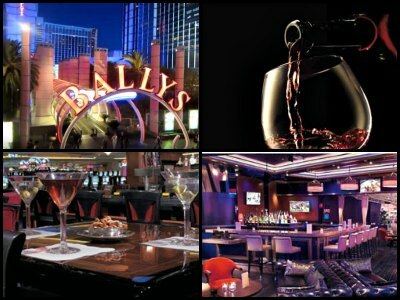 Bally's Hotel Las Vegas has several options for nightlife when you are ready to hit the town. There are several casino bars sprinkled throughout the casino floor and Sully’s Bar offers great people watching while you are enjoying a beverage. The Evening Call serves up large frozen signature drinks like the Vegas Crush and the Wake-Up Call to guests on the go. Guests can indulge in over 40 tequilas at Tequila Taqueria and the Indigo Lounge features classic Las Vegas lounge entertainment from piano players to live bands. The casino area at Bally's Hotel Las Vegas is somewhat smaller than your bigger resorts with only 67,000 square feet of gaming pleasure. The casino is still packed with your favorite Las Vegas table games like craps, roulette, blackjack, baccarat, Pai Gow and Spanish 21. 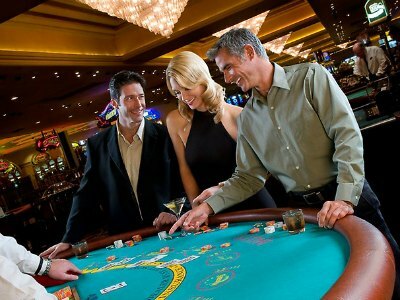 There is also a dedicated poker room that features games of Stud and Texas Hold’Em. Bally’s casino also has one of larger keno rooms on the Strip and you can even play keno in your room. The race and sports book has seating for 256 people. This area also features numerous televisions and private betting stations too. Bally's Hotel Las Vegas has been home to the exquisite and one-of-a-kind Sterling Brunch for over 30 years. This Sunday only brunch is served in the upscale BLT Steakhouse and features plenty of favorites from over the years. Guests will be offered an endless glass of Pierre-Jouet champagne as well as an ample supply of American Sturgeon Caviar. 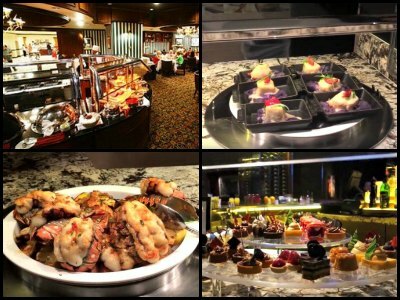 Patrons will indulge in a buffet style layout of cuisine that ranges from king crab legs to raw oysters to prime rib to exquisite benedict dishes to omelets to sweet Belgian waffles. The Sterling Brunch features such delightful desserts as chocolate truffles and chocolate covered fruits to satisfy that leftover sweet tooth. 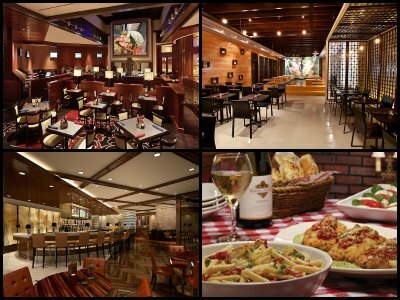 The Bally's Hotel Las Vegas complex has several innovative restaurants that are sure to please guest’s pallets. On the lighter side of the budget guests can choose from a delicious deli sandwich at Nosh, a quick pizza at Sbarro or an authentic hotdog at Nathan’s Famous. The casual dining options include the Tequila Taqueria which is perfect for margaritas and late night tacos; Buca Café Italiano boasts classic Italian cuisine and Sea-the Thai Experience serves Thai and Vietnamese dishes. On the upscale side diners will find BLT Steakhouse which is famous around the world for the preparation of quality meats. The BLT Steakhouse is also home to the Sterling Brunch on Sundays. The Blu Pool at Bally's Hotel Las Vegas is an Olympic size pool that is surrounded by a wonderland of palm trees and gardens. The pool is one of the only pools in Las Vegas that has a deep end of twelve feet for your diving enjoyment. There is also a heated whirlpool to help with your aching body. The deck area overlooks the tennis courts and features music by a house DJ and signature cocktails. Cabanas with personalized VIP amenities and services are available as well as daybeds. 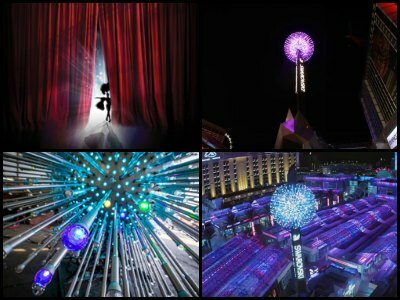 There are two standout attractions located within Bally's Hotel Las Vegas that people have flocked to see and play. Bally’s Hotel is a special spot for people looking to play tennis while vacationing in Sin City. There are eight championship style courts with lights that are available. Bally’s tennis complex features a pro shop and private or group lessons from one of the former ATP tour professionals on staff. Another fascinating attraction at Bally’s Hotel is the Jubilee-the Showgirl Reborn Backstage Tour. During this exclusive backstage tour guests will gaze at the amazing wardrobes of feather and rhinestone that are worn by the Jubilee showgirl stars. Patrons will view up to 71 different backdrops that have been used by this show since its inception in 1981. Guests will view with pleasure the original headdress worn on opening night more than 30 years ago too. Guests are also treated to an interesting history of the showgirls that have floated across the stages in Las Vegas for decades. 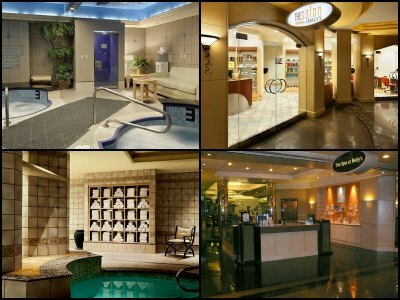 The Bally's Hotel Las Vegas Spa is the ideal place for relaxation and rejuvenation. This 13,000 square feet facility offers a décor of blue and caramel that will instantly uplift your weary spirit. The stimulating hot tubs, the Vichy shower room as well as wet and dry saunas. Bally’s Spa offers several unique packages like the Sophisticated Sugar Scrub which is a Vichy Shower treatment or the Sea Mud Detoxifying Wrap. Patrons can also mix and match their favorites treatments and massages to create their own special day at the spa. Bally's Hotel Las Vegas is the ideal spot for shopping in Las Vegas. There are over twenty shops within the Bally’s Hotel complex that include such standouts as Higuchi for home décor; perfect resort wear can be found at Adventures in Paradise; visit Art of Music for music memorabilia; unique shoes are featured at Satisfy My Sole; for your child there is Kid Camp with toys and clothes; looking for Hawaiian gifts and jewelry try Lono and there is Marshall Rousseau for ladies fashions. 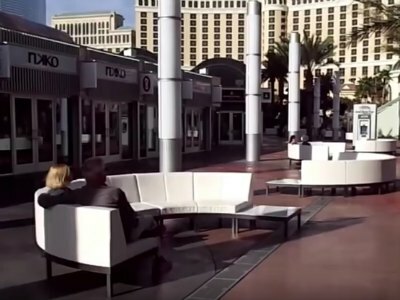 Other shops range from the Serenity Bar for Oxygen to Las Vegas Harley Davidson to numerous gift shops like Signatures and Bally’s on the Avenue. The shopping at the Grand Bazar is eclectic and trendy with over 120 shops for people to browse. The Grand Bazar is fashioned after the great open-air markets in world like Morocco’s Marrakesh souk, Seattle’s Pike’s Pike Place and Istanbul’s Grand Bazar. Everything like t-shirts, souvenirs, hot sauce, sun glasses and whatever else might be on your shopping list can be found in the Grand Bazar. Retailers within the Grand Bazar range from The Doghouse for specialty pet items to Winky Designs for custom jewelry accessories to B.young for apparel that fits your personality. Dining at the Grand Bazar is culturally diverse with offerings from the Waffle Bar to Wahlburgers to Sandwich Haven to Ramen Ya.